Apple’s keynote is set for September 12, which is in line with previous rumors that circled the second Tuesday of September as time when the keynote would take place. 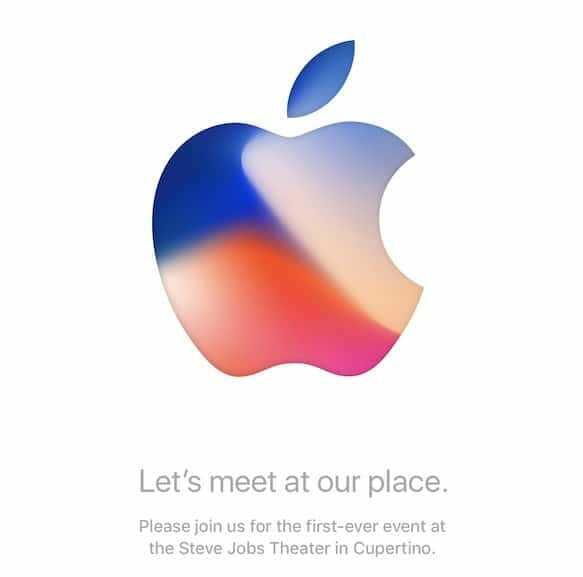 The event will take place in the Steve Jobs Theater at Apple Park. The cryptic invites say “Let’s meet at our place” but don’t specify what products will be announced. Obviously, everyone knows that the next generation of iPhones will be unveiled at the event, though there could be some other products that make an appearance as well. Apple is expected to present three new iPhones on stage: the iPhone 7s, iPhone 7s Plus and the premium iPhone 8 models. Other products that could make an appearance include a new Apple TV with 4K video support as well as the Apple Watch Series 3 with LTE. This year’s iPhone promises to bring some of the biggest innovations Apple fans have seen in years. The iPhone 8 is rumored to have a new form factor with an all-glass design. Facial recognition may be one of the headline features too, along with inductive charging, OLED display with minimum bezels, improved cameras, and much more. Per usual Cult of Mac will be here live blogging all the action with up-to-the-minute analysis on all the new goodies. Circle the date on your calendar and get your wallet ready for what promises to be Apple’s greatest iPhone ever.